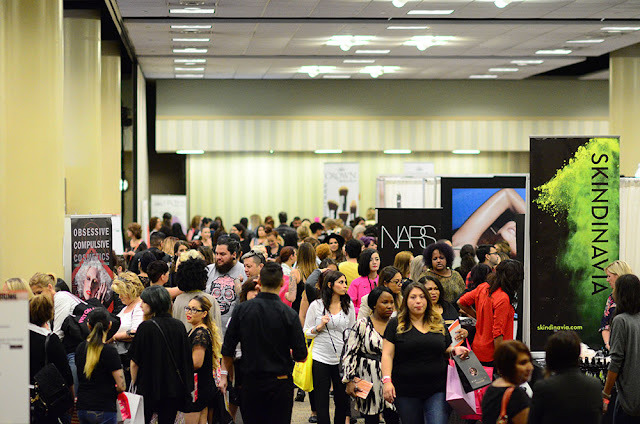 The Makeup Show Dallas is approaching, and there are some things you need to know before you walk into them doors to maximize your time and to totally reap the benefits of the show. 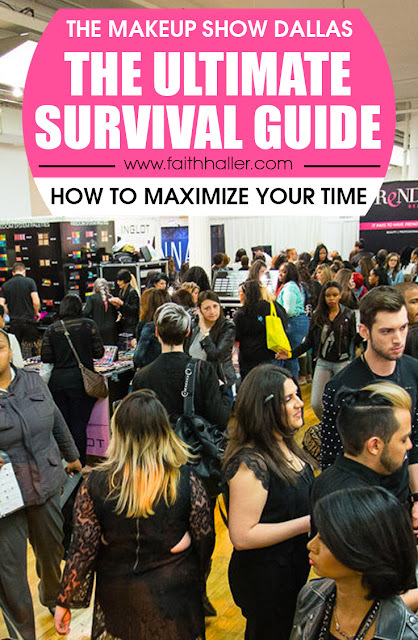 Whether you're a seasoned attendee of The Makeup Show or you're a fresh newbie to the show I'm pretty sure you could use some guidance on how to survive & maximize your time at The Makeup Show Dallas. 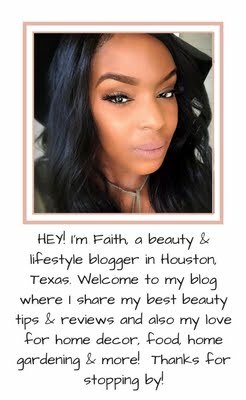 As a regular attendee, brand ambassador & featured blogger for +TheMakeupShow every year I'm learning something different and taking a different approach to my experience. I've made some decisions that effected my experience at the show not because of something they did but because of me not maximizing my time. It's normal to be excited especially when it's your first year coming but you don't want to lose focus. So I'm going to show you how you can maximize your time at the show, capture every experience so you can reap the full benefits of the show. Preparation is the key to success. When you know what you want and organize your time accordingly to your needs & desires your experience at the show will be nothing less than successful. How do you plan accordingly is the question? I get asked tons of questions every year about the show and I always ask attendees about their experience and what they enjoyed and what they wish they could have done but didn't have the time to do it. And when I listen to every past attendee remarks everything refer back to TIME MANAGEMENT! Time Management is a skill. Time you can not get back so it's important to maximize your time effectively by making a list and scheduling your time. By planning this will keep you on your toes and focused and minimize distractions. Write down the vendors you want to visit and the amount of time you want to spend shopping, write down all the educational classes you want to take and their time slot, write down your lunch/break time, write down networking time. You want to work everything around the educational classes because for sure you know the slot times and date for those classes. Added a great balance because realistically no one can sit in classes all day and not lose focus. Organize your schedule and set an alarm for each task on your phone to alert you when it's time to move on to the next task. It's going to be a really long day and adequate rest is something that you will need to prepare yourself fully and successfully tackle the day on schedule. When you are restless it's evident in the way you process information and your behavior. You know that saying "The early bird gets the worm" ? That statement is so true! When you arrive early you are on time and you are the first one in line to walk through them doors smoothly! Many of the vendors have a cap on some of the limited editions they have and if you've been eyeing a certain product you DEFINITELY want to be the first to get yours. Besides when you late it throws everything off and you end up missing something. So be early so you can be on-time! I know this may be TMI or maybe even common sense but it's common for people to not go to the restroom it has happened to many of us when we arrive in the show and all of a sudden have to use the restroom and end up missing out on something because our bladder decided to disrupt the day. Make sure before you enter the show you use the restroom so nothing is distracting you from having a successful day. One of the things I love about The Makeup Show Dallas is they have a way of introducing us to newer brands and I LOVE THAT! 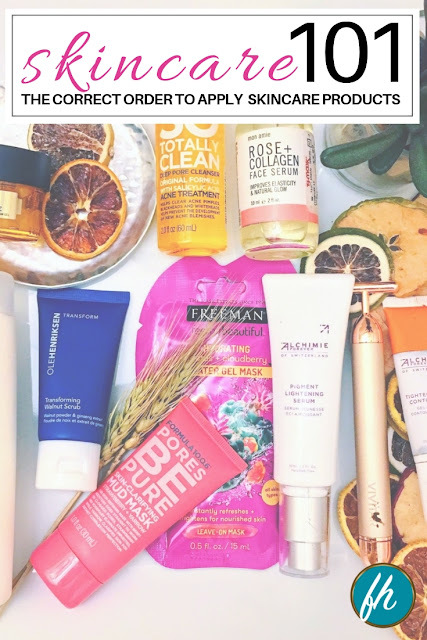 Sometimes we can overlook certain brands because their not as known or known at all but many times these are the brands you want to get to know. 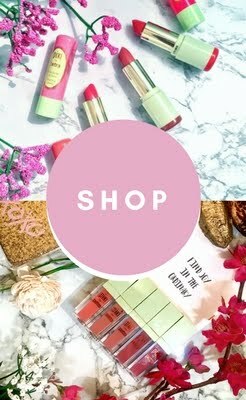 This is your time to try the products out, test it out and their quality because many times these brands are online based. It's hard to get a feel for something when it's online or in another city or state. So take advantage of that time. Every year it never fails, someone get lost looking for a class, or a vendor booth. It's easy to get turned around and lost if you don't know where you are going. I find myself having to direct people all the time. When you walk into the show there are directories showing you where the classes are. Look at them because you will need it. We all would like to enjoy our time at the show. Below is a site plan that shows where everything is even the educational seminars, workshops, focus & keynote forums are. This is one of the biggest tips I can give. Many of us have experienced this at the show, when we purchase a product from several vendors with our bank card in less than a 30 minute span and try to go purchase from another vendor and our card locks up and the vendor representative says "I'm sorry your card is declined" and you're confused because you know you have sufficient funds so what the hell is the problem? I'll tell you what it is...When you're purchasing from different vendors keep in mind many of the vendors travel to The Makeup Show Dallas from all over the states so when they swipe your card you have one swipe from California, another swipe from Atlanta, another swipe from NY, another swipe from Florida in less than 30 minutes your bank will assume there is some fraudulent activities going on, on your account so they automatically lock it for your protection until you confirm that it's you. So how do you avoid this from happening because it's quite embarrassing when someone tells you your card is declined. You can call your bank provider and let them know that you will be at a trade show and give them the dates. Let them know that many of the vendors there travel from different states and you want to make sure on these dates that your card doesn't lock up when purchasing from different vendors. Another thing you can do is pull out the amount you will be using for purchases and put it on a debit card separate from your bank card. It's just a card to insert money into . Or you can just carry cash. That is the quickest way to get in and out. Also consider having another pay selection separate from your splurge card for things like food and your room stay because you don't want to eat into the money that need to be used for things that's a necessity. This may be minute (my-noot) but its necessary because we do get hungry and eating gives us a bit more energy and keeps us uplifted and less grumpy. Snacks at the hotel are over-priced and will put holes in your pockets. Snacks will not only keep you prepared when you're hungry and limited on funds but it will also help you maximize your time and keep you on schedule. Think smart. I know we like to look cute in our little heels and want to stand out amongst the crowds but realistically you will be walking a majority of the day and heels can kill the feet. And if you can't walk you will miss out on what's important and you will be off schedule because you're finding somewhere to sit. You can look cute, stylish but yet comfortable at the same time. If you just have to where heels consider bringing some comfy flats with you in a bag. The Makeup Show Dallas has so much to offer and one of the biggest things is education. This is the time to take advantage and invest in yourself, because it doesn't benefit you to have all the latest products in your kit but you can't seem to make money doing what you love or you don't know how to effectively use the product where it would benefit you. Being in the seminar, workshops, focus classes allows you to see in action first how the professionals use the products and this is the best time to learn and grow as an artist. Take advantage while you can while these educators are at your fingertips. 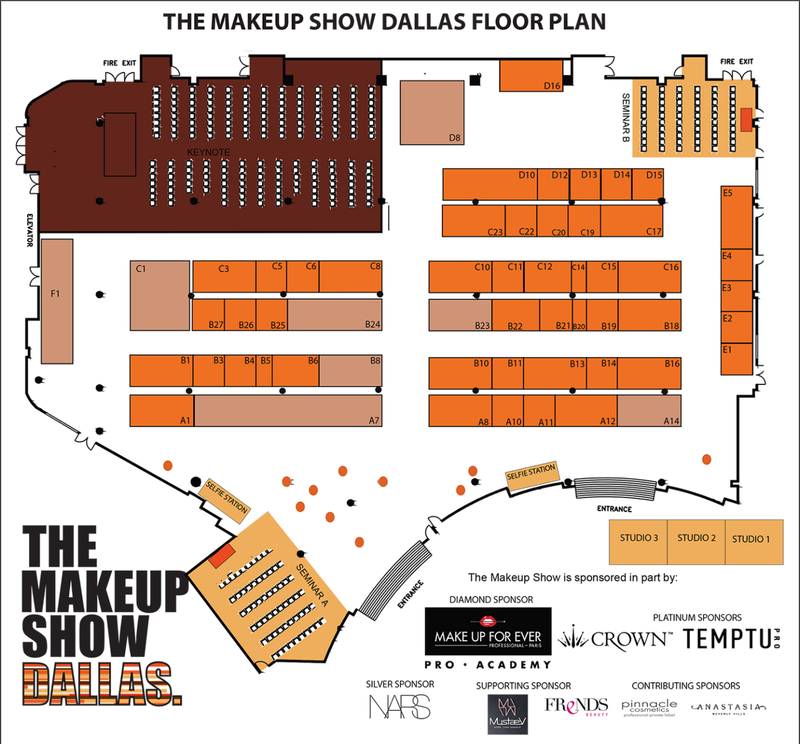 What is available to you for education at The Makeup Show Dallas? Enjoy seminars by the industries best. From Spring Trend and Bridal to Airbrush and FX, the Main Floor Seminars will provide a great selection of events, designed to inspire and inform. Presented by some of the biggest players in the business, these complimentary events are seated on a first-come first-served basis and do not required registration and are included in admission to The Makeup Show. The Makeup Show Keynote & Business Forum is a much anticipated event for all of our attending artists.as it allows artists and industry insiders at all levels of the industry to watch, listen and learn from the icons, legends and leading artists influencing and making an impact on our industries past, present and future. Whether it is the latest in technology, an understanding of trend, some professional application tips or insight into one particular area of the industry The Makeup Show makes it happen with some of the biggest names working today. Artistry, advice on union or agency, or an intimate look into the life of a leading artist, The Keynote & Business Forum has become a must for the attendees who want to learn the tips, tricks and techniques to advance their own artistry and careers. The business part of this beauty industry can sometimes be the greatest obstacle to success. Having an understanding of how to prepare your materials and present yourself to potential clients can be the crucial factor in determining whether you are the artist who is given a coveted position. In this first time Career Focus seminar series industry leaders known for their honest advice and valuable insight will help you understand the industry standards and identify what you can do in your own career to make yourself stronger and more successful. The best thing about The Makeup Show is the community and the opportunity to network with so many people and make valuable connection. Be intentional on your goals and who you want to connect with. Bring your marketing materials with you but be strategic in who you pass them out to. Focus on quality relationships and make a lasting impression so when you do give them your business card you will be remembered when they look at your business card. QUALITY OVER QUANTITY! We've all experienced dead phones at the most important times and it's so frustrating & inconvenient especially when we're trying to get that picture with someone we admire or capture or quote what a educator said. We don't want to miss out on those moments. Let me be the one to say parking at the Hyatt Regency on Reunion street which is in Downtown Dallas is not exactly the most convenient. So you will definitely need to plan out your time accordingly in regards to parking which goes back to being early because you will need to allow yourself the time to walk from those lots to the building and then up stairs and let's not forget the registration lines. Note that all parking options requires you to pay. When you are not prepared you miss out on things and I don't want you to miss out. This is why I developed this Ultimate Survival Guide for you. For more information on the options for parking GO HERE. Also there is the option if you are staying at another hotel to uber or lyft yourself to the show. Which may be better for some. Weigh out your options. Last, have fun this is the opportunity of your life time and although you want to take your life seriously have fun while you at it. It will make your day enjoyable, build connections, grow, splurge a little, learn and take advantage of this time. Each of these pointers are equally important in surviving The Makeup Show Dallas. You need a great balance of each of these to have an successful experience. Be intentional on your goals and be strategic and how you organize your time. Also know it's impossible to be everywhere within the show. It's not physically possible but if you plan everything out strategically I guarantee you could possibly be everywhere at the same time. A TIP FROM ME: I know it's impossible to be in multiple places at one time and as a artist, and blogger I try to capture every experience and the only way I've been able to do that is to bring a photographer with me and another blogger or 2 to capture the experience. I let them know what I'm looking for set a schedule so they will know where to go and what to capture. AND BAM! I'm in multiple places at one time because I have a team with me. :D Your team can be a family member, friend or whatever. Work smarter not harder is my motto and I guarantee you will be able to enjoy the experience a lot more. Save money and purchase TODAY! Sounds like a great time...and a reason to enjoy a good food rub at the end of the day! 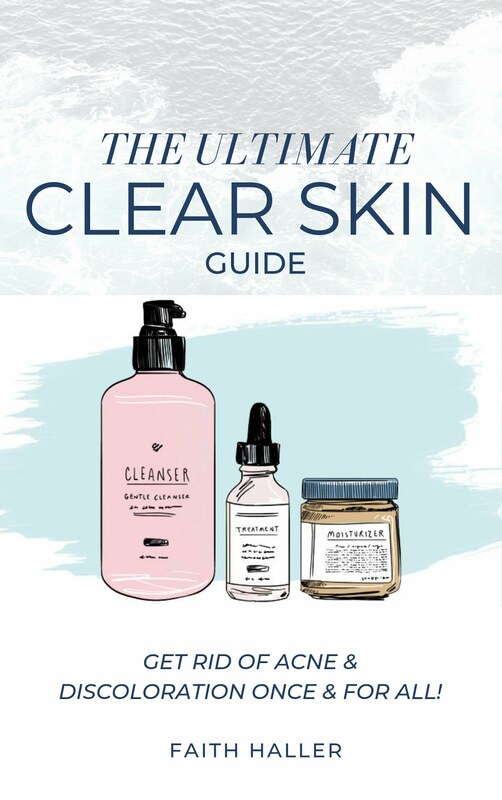 This is a really good guide. Some of the brands I know and some are new. For sure always trying to find new brands, Thanks for sharing! This sounds amazing and I love how you broke down how to make it easier on the attendee. Great tips! You can probably use these tips for any big show or convention! Have fun at The Makeup Show!